On September 6th around 5:30pm committee member Todd Miller stopped in to see Jason Wright owner of 51 Auto sales & 51 Guns located at N6826 Us Highway 51, Portage, Wisconsin 53901 · (608) 742-2994. When Jason heard that the skate park was headed by his good friend Kyle Little, the President of the Portage Family Skate Park, he knew that it would get done and done the right way. 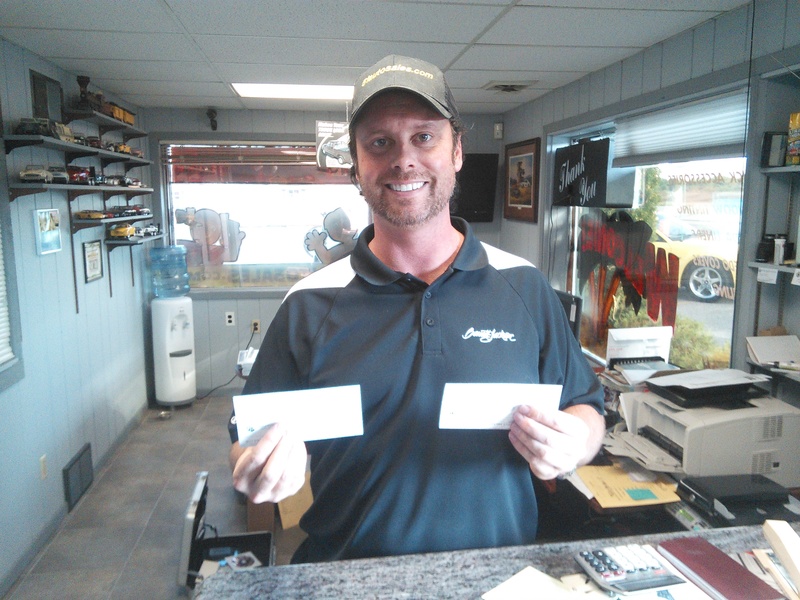 Jason presented Todd with two $100.00 checks from each of Jason’s business. This brings us so much closer to the Tony Hawk Foundation Challenge Grant. Thank you, Jason, from the PFSP. Want to see more info on Jason business’s click hear http://51autosales.com/.